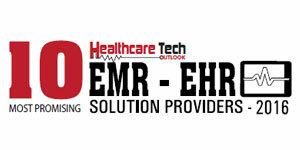 Today, digital healthcare platforms like Electronic Health Record (EHR) or Electronic Medical Record (EMR) are dramatically changing information management in healthcare organizations. However, in behavioral healthcare industry, traditional EHR technology restricts companies to manipulate data to harness data value, and adapt with the changing requirements. They are costly to implement, painful to administer, and sluggish to change. “Behavioral healthcare providers want speed boats that are fast and have a very specific purpose rather than big cruise ships that have a little bit of something for everyone,” begins Dr. David Lischner, MD, CEO, Valant. Bringing innovative customer technology to the mental health community, Valant offers a SaaS-based cloud-based platform to clinicians, doctors, and executives. As a behavioral health practice management platform, Valant is used for accessing performance data to acknowledge flaws in workflows and eliminate bottlenecks. The platform combines domain knowledge and technological expertise to exceed the capabilities of EHRs. It allows users to choose workflows from a content library full of evidence-based practices. The flexible and extensible data model enables them to extract, report, and visualize data easily in real-time while improving business and clinical performance. Data, being an asset of great importance for healthcare organizations, sits idle in traditional EHR technologies due to lack of extraction and visualization capabilities. Valant focuses on “data first” approach with its extensible data model to make the information readily accessible in a secure environment. With instant accessibility, clinicians can administer practices easily and executives can gain actionable insights to tune the workflows for better patient care. For the information to be accessible irrespective of geographical location, Valant can be accessed via smartphones and tablets. Its smooth and advanced client interface is intended to provide in-depth insights and information accessibility all through the smart devices to effectively tame complex procedures and aid multi-step undertakings. As a result, the healthcare organizations can get a non-obtrusive documentation process, better care coordination over various clinicians, and efficiently integrate information. On numerous occasions, Valant has illustrated its expertise in data acquisition assisting its clients in behavioral health. In one case, one of Valant’s clients, Augusta, a provider of quality mental health care treatment, needed a system to support their back office operations including billing and reporting. Their practice management system was outdated and faced various complexities to manage different systems for several aspects of Augusta’s practices. The client implemented Valant which built specialized note templates to ease some of the transitional documentation concerns. Initially, Augusta had over 100 pages worth of accounts receivable, but with Valant, the count came down to less than 10. With Valant’s insightful reporting tool, Augusta was able to track progress of the financials and it also enabled better numbers for percentage payroll. Further, Valant’s appointment scheduler eliminated the double booking problems and pulled up patient charts easily for Augusta. In the near future, Valant seeks to incorporate reliable strategies and technologies in the platform for behavioral healthcare organizations. “We’ll be very deeply imbedded within the vertical market of behavioral healthcare and will ultimately be a platform that connects providers, patients, and other areas of medicine, as they adapt to the changing healthcare landscape. Valant will continue to offer a set of tools to its patients for improving provider life and work quality, the value of healthcare, and patient health,” concludes Lischner.